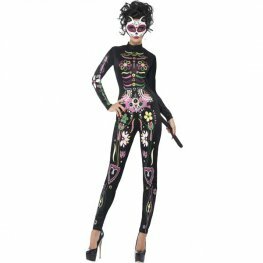 This Ladies Day Of The Dead Suit Halloween Fancy Dress Costume Includes A Day Of The Dead Themed Dress And Jacket. 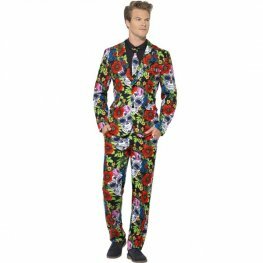 Look The Part This Halloween With This Men's Day Of The Dead Suit. 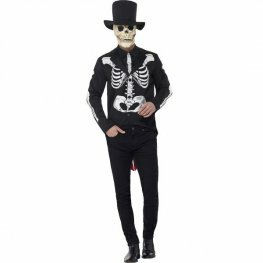 This Halloween Costume Includes Day Of The Dead Themed Jacket, Trousers And Tie. 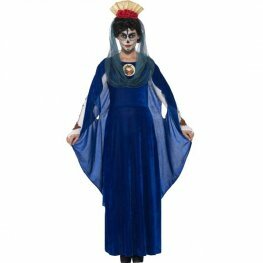 Day Of The Dead Sacred Mary Halloween Fancy Dress Costume. This Sacred Mary Costume Includes A Blue Dress, Headband And Hood. 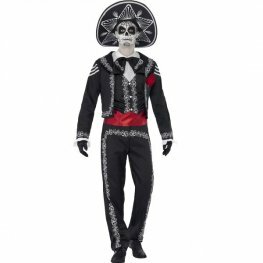 Smiffys Day Of The Dead Senor Bones Halloween Fancy Dress Costume. 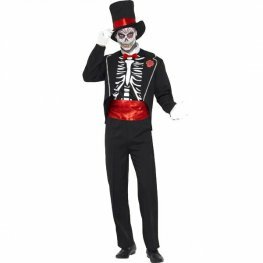 The Senor Bones Costume Is Complete With Jacket, Trousers, Mock Shirt And Hat. 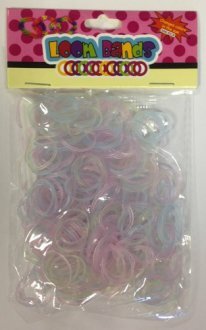 Smiffys Day Of The Dead Sugar Skull Cat Halloween Fancy Dress Costume. This Skull Cat Costume Is Complete With Printed Bodysuit And Attached Tail. 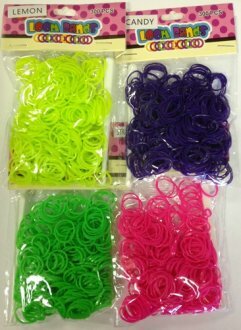 Smiffys Day Of The Dead Bride Halloween Fancy Dress Costume. 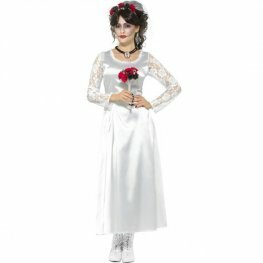 This Deluxe Day Of The Dead Bride Costume Is Complete With Dress And Rose Veil. 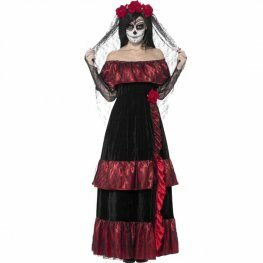 Day Of The Dead Bride Halloween Fancy Dress Costume. 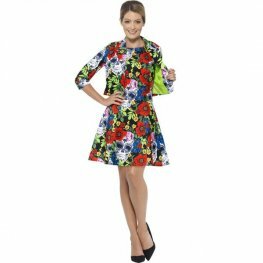 This Halloween Costume Includes A White Dress, Small Bouquet Of Flowers And Flower Headband. Day Of The Dead Bandit Halloween Fancy Dress Costume. 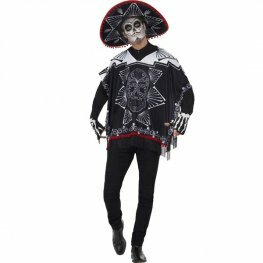 This Bandit Costume Includes A Black And White Poncho, Sombrero And Black And White Gloves. 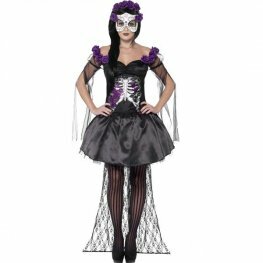 Day Of The Dead Skeleton Bride Halloween Fancy Dress Costume. 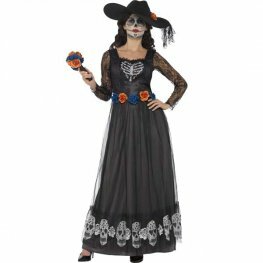 This Skeleton Bride Costume Includes A Black And White Dress, Hat And Flower Bouquet.